What are the core features of classical roleplay games , be they online or offline? Character evolution. You play your role and your role evolves over time. However the whole experience has to take place somewhere in a world or else it would be a boring and more of a tamagotchi like gameplay. The worlds usually consist of a mix of towns , dungeons and open areas to connect towns and dungeons and while towns usually make up the peaceful aspect of the game where your character rests , recovers , prepares or simply sits around to waste time, the dungeon is where most of the action happens. The dungeon can be seen as one of the most important parts of a roleplay game so designers came up with different approaches. Games such as world of Warcraft or Ragnarok online offer groups of players great dungeon experiences from mob grinding to complicated boss mechanics with a more or less clear direction. However these static dungeons never really change. A few mechanics may differ with random numbers . but after a few playthroughs you know when to expect what and what way to go. Players get used to it and eventually bored if they have to visit the dungeon too often. 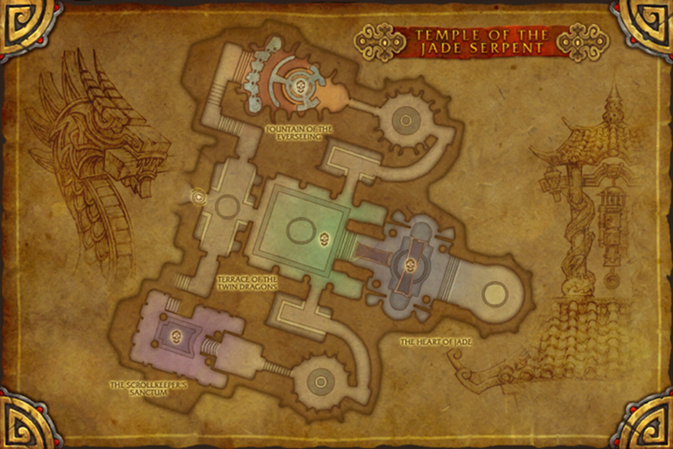 Games such as Diablo 3 or Dragon Quest Monsters offer “semi random dungeons” , the dungeon is generated from a certain amount of predefined or completely random parts. Everytime a player visits the dungeon its a new experience , however players can get frustrated by that due to unlucky generation or if the dungeon takes too much time or the paths are simply anoying. There is not much space to somewhat give the dungeon a proper direction. These 2 methods exist in multiple variations and both have their advantages and disadvantages even though some just don’t fit for certain games. But can the system be improved? Randomness every time is too frustrating, but always the same dungeon is getting boring , so why not combine both and add another factor to it? The player enters a dungeon , in each direction he sees a door. He decided to go through the first northern door , another room with 4 doors. After clearing a few rooms through this maze suddenly rooms with walls instead of doors appear. The player invests some time and manages to clear every room and finishes the dungeon. Another player enters the dungeon and has to take the same path as the previous player. The player who entered the dungeon for the first time generated the dungeon while going through. Every time the player enters a new room the game checks how many more rooms can be generated. After the maximum amount is generated the player will face walls instead of new doors. 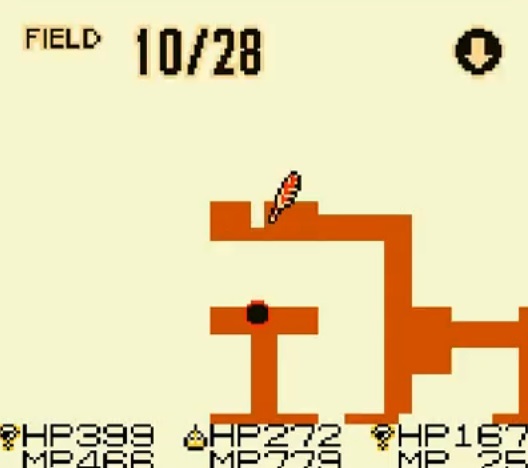 Like that the player has the illusion of a random generated dungeon the first time he enters but whenever he visits the dungeon again he is quite familiar with it. The whole system can be advanced with random wall occurances or multiple levels depending on what the game needs. In addition to when multiple player enter the dungeon and decide to take different paths the dungeon gets a very nice layout. The amount of dungeons can be huge since designers don’t have to create all of them on their own , so players don’t get the boring impression of always visiting the same dungeon. Lets end the imagination here and see how it works out , below is an example that can be controlled by either clicking on the arrows with the mouse or simply using the arrow keys. If you have scrolling issues you can also simply open it in a new window with the fullscreen link. Visited rooms turn light blue , a red wall means you can go through , a black wall means you can not go through. As long as there are free rooms (counter at the bottom) you will get all open rooms , but as soon as there are no rooms left you will face walls. There are still a few issues so the wall generation is not always 100% accurate and logical. Like this a whole lot of dungeons can be generated while players play the game. You can either let players generate these dungeons and leave them in the illusion that these are either random or you actually put work into them or make it more interesting and tell players they are able to generate those dungeons them self , add a whole new aspect to the game and make it rewarding for someone to see their creativity in a game played by multiple people. Games with established systems did work in the past and they will continue to work for certain games , but maybe its time to step it up and attempt something different.